211 Bernard: Adam Levin in store tonight! Adam Levin in store tonight! 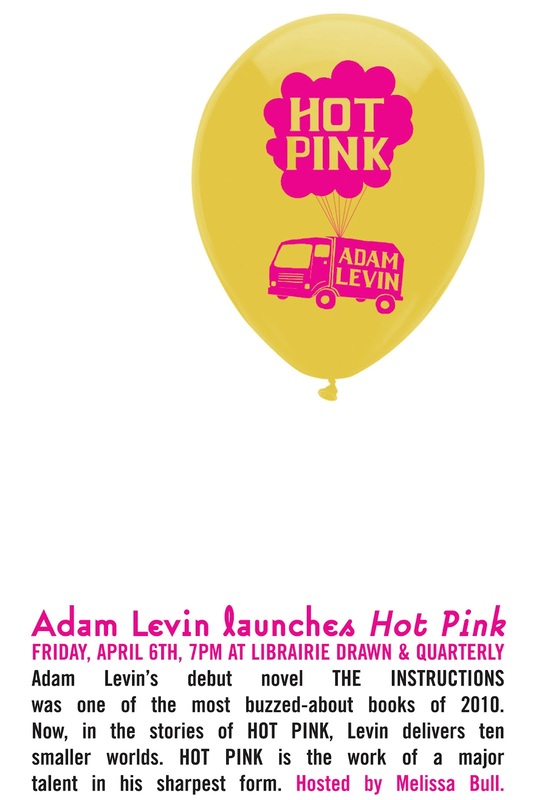 Join Adam Levin for a reading from his brand new short story collection, Hot Pink. In it, Levin offers up shaken snow-globe dioramas of overweight romantics, legless prodigies, quixotic dollmakers, Chicagoland thugs, dirty old men, protective fathers, balloon-laden dumptrucks, and walls that ooze gels. This event will be hosted by the wonderful and articulate Melissa Bull. Come on down to the Librairie D+Q (211 Bernard O.) for 7 pm tonight!